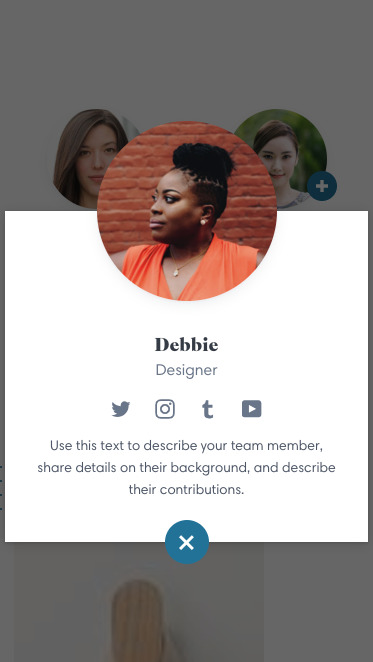 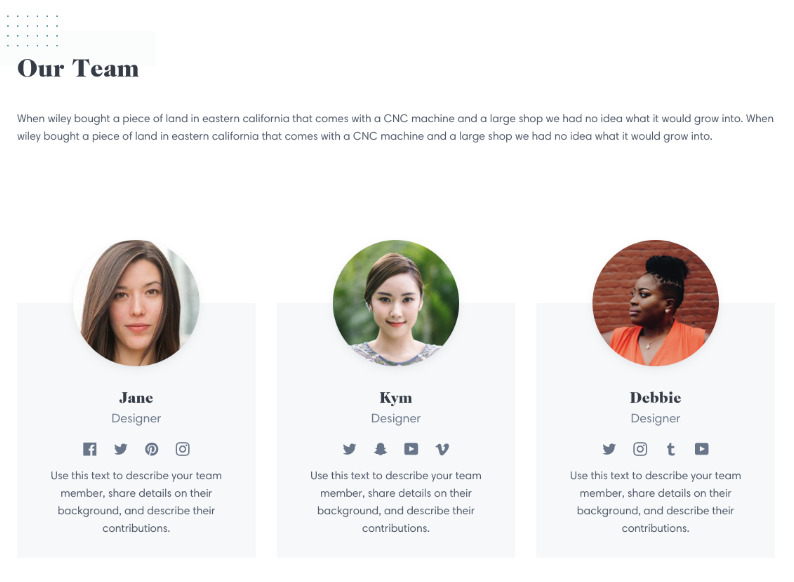 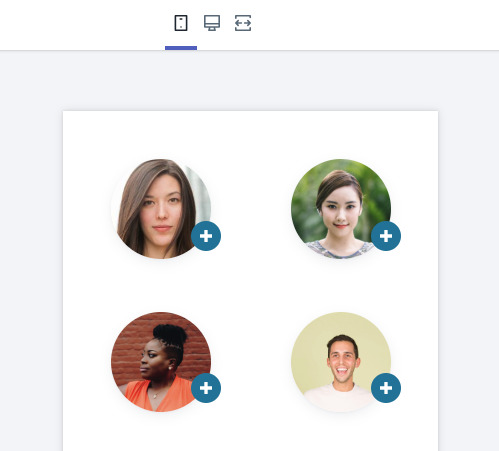 Each team member can have their own profile and links. 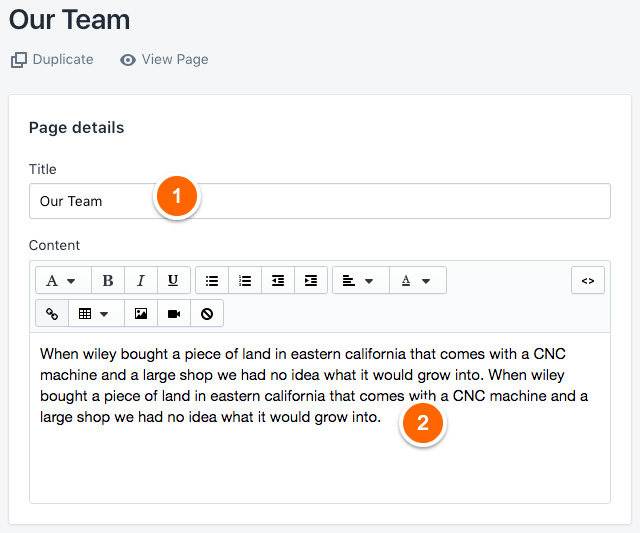 In the Theme Editor (Customize Theme), browse to the team page you've created. 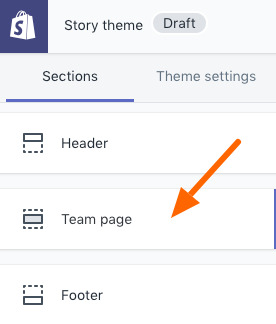 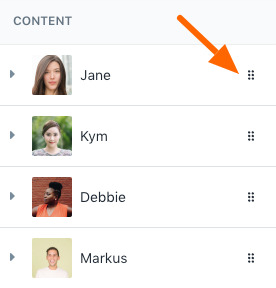 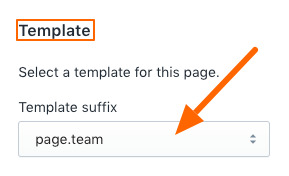 The best method to add that page to your main navigation and then use the navigation link in the Theme Editor to view your team page.